Business essay writing might be a challenge for many students. If you are studying business, then you will at many points be prevailed upon to write a business essay. A business essay is, as the name implies, an essay on the subject of business. You will be required to write many types of business essays throughout your educational career, from short analyses to lengthy research papers and everything in between. 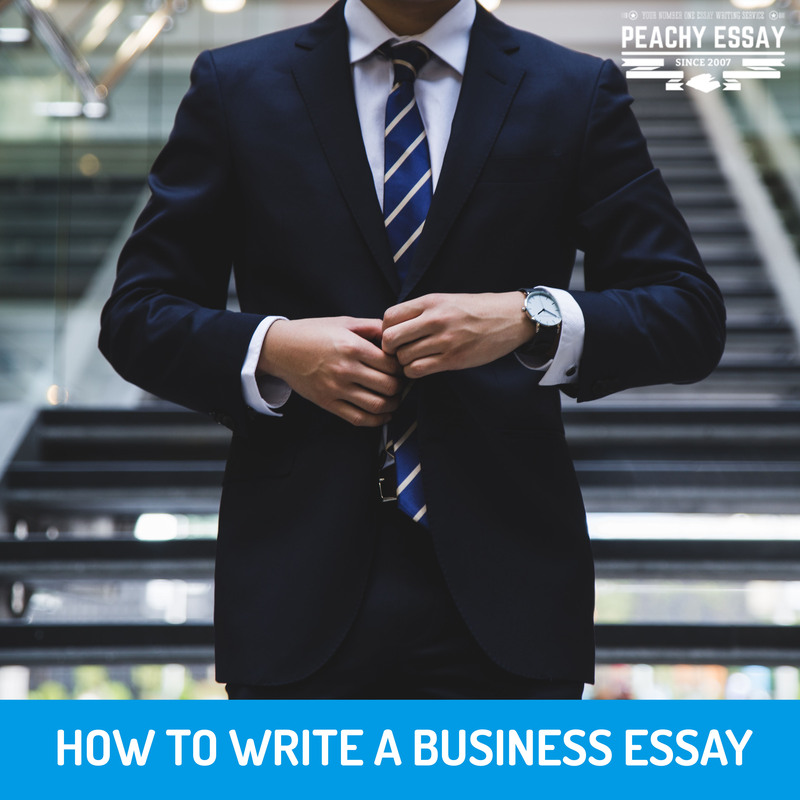 Writing a business essay might seem like a daunting prospect for someone who has never done it before, but with practice and learning, you can learn how to write a business essay that will entertain and inform your readers effortlessly. Writing good essays about business requires you to learn both the structure of good writing as well as the nature of the business field itself. Learn the craft of business essay writing with these tips. A good business essay starts with a good thesis. The thesis is the foundation of any essay, where the central argument(s) are laid out and defined. A poorly-defined thesis will drag your essay down, while a good thesis will elevate it. Because of this, you want to ensure that your business essay thesis is as well-defined as possible. To do this, before you write your small business essay, sit down and figure out what exactly you want to write about. Define your topic in such a way that what you are writing is clear and unambiguous. This will allow you to fashion a thesis statement that covers everything adequately, is compelling, and serves the purpose of creating a great business essay. One great aid when it comes to writing business essays is outlining your work beforehand. An outline is a tool that enables you to sketch out the general direction of the essay before you actually write it. Outlines are handy because when it comes to a business essay, you’ll want to have a good guide as to where to take it and what to cover. By writing an outline before you actually write the business essay, you’ll be able to understand what points you need to work on and include in the business essay sample when writing time comes. The outline will allow you to figure out what you need to emphasise and what evidence you will need to bring to the table in the business essay proper. Unless you are writing a pure opinion piece, you will likely have to conduct research on your topic beforehand so you have a solid foundation of ideas to talk about. You will want to rely on peer-reviewed sources, such as books and journal articles, as well as reports from reputable publications. You generally should not use websites due to their lack of credibility, though you may find it necessary to cite them from time to time. Once you have prepared adequately, you can sit down and write your business essay. Like other essays, the business essay format is a basic structure of an introduction, a body, and a conclusion. The introduction is where you state your thesis and make your initial arguments, setting the stage for the essay to follow. Your introduction should be no less than five sentences, usually longer depending on the length of the essay. The body is the “meat” of the business essay, where you make your central points and address arguments. The body should take up the bulk of your essay’s length. In general, a business essay will have a minimum of three body paragraphs, with lengthier essays having more paragraphs. Ultimately, it is up to you to determine how lengthy your business essay will need to be. You should avoid extraneous detail and fluff, only focusing on the important points of your thesis and avoiding diversions. Finally, the conclusion is where you end your business essay. In a conclusion, you restate the thesis, summarise your findings, and arrive at your final analysis. Conclusions should be no less than five sentences in a business essay, and should restate the fundamental arguments and conclusions of the essay without simply regurgitating previous statements. Business essay writing might seem like a challenging prospect if you’ve never done it before. However, if you take the time to refine your thesis and do your research, you will have an easy time writing a business essay that is high quality and informative. Ultimately, writing a business essay can be a painless and illuminating experience, allowing you to further your business studies in an easy way.